– Maintain or expand the U.S. presence in northern and eastern Syria as well as the al-Tanf area, in order to prevent a total government recapture of the country and thus limit IRGC access to Syrian territory (e.g. denying a 'land route' from Iran to the Mediterranean via al-Tanf). 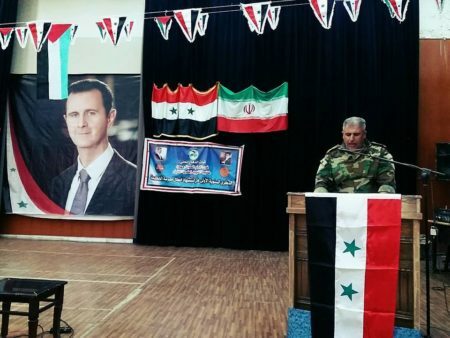 – Ensure that the IRGC is kept X number of kilometres from the border with the occupied Golan Heights, such as through having a third-party enforce a buffer zoneto prevent the Syrian government from retaking all of Deraa and Quneitra. – Join Israel's air force in strikes against IRGC targets in Syria. – Engage in leaflet drops and psyops targeting 'pro-Assad militias' with the aim of warning them not to serve Iranian interests by moving on U.S. positions. For example, the warnings could play up the idea that Iran supposedly does not care about members of those groups as Syrians. These various suggestions are not mutually exclusive. In general, they boil down to the idea that the U.S. has or can gain significant 'leverage' against the IRGC in Syria. However, it seems to me that much of this policy discussion is based on misconceptions as to how the IRGC has built influence in Syria. A common understanding of the situation sees the IRGC as creating its own system of proxies that are outside of the control of the Syrian government and the Syrian armed forces. Indeed, some U.S. estimates assert that 80% of the forces fighting for the Syrian government are Iranian proxies. * A cruder version of this 80% figure portrays it as representing Iranian-backed foreign fighters, while a more nuanced articulation defines the 80% as including both foreign and local proxies of Iran. In any case, an analytical model has arisen portraying a competition for influence on the ground, with the claim that Iranian influence is 'rapidly outstripping' that of the Syrian government and Russia. Along similar lines are claims that Iran has largely taken control of Syria's military and intelligence apparatus and that Iran and Hezbollah control, direct and organize all military operations in Syria. In reality, the nature of the IRGC's project in Syria is not one of dominating and taking control of the system, but rather integrating so as to become an indivisible part of the system. This is best understood in the Local Defence Forces (LDF) project, which should not be confused with the more familiar National Defence Forces (NDF) and rarely receives mention in all these policy discussions. Unlike the NDF, the LDF is on the registers of the Syrian army and armed forces, while being affiliated at the same time with the IRGC. Thus, the LDF can be described as a joint project of the Syrian military and the IRGC, with officers from both sides featured in the command structure. The LDF, it should be noted, incorporates many of the groups familiarly known under the brand of 'Syrian Hezbollah/Islamic Resistance in Syria', such as Liwa al-Sayyida Ruqayya (Damascus), Liwa al-Baqir (Aleppo and other areas) and Fawj al-Imam al-Hujja (Nubl and Zahara'). The LDF also interacts with the political system, which is recognised as something led by Bashar al-Assad and the Ba'ath Party rather than something to be subverted and overthrown. Haitham al-Nayef, a Syrian army general originally from al-Fu'a (one of two Shi'i villages in Idlib besieged by the rebels). He was chief of staff of the LDF and died in a traffic accident in early May 2018. Colonel Ali Yunis, who heads the LDF's Homs sector. 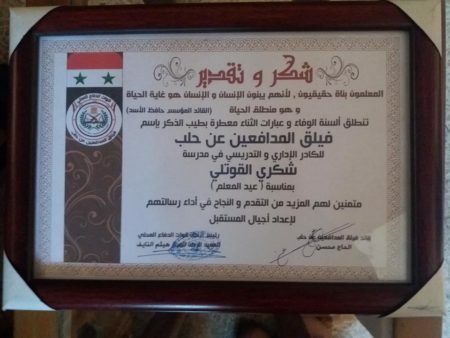 The LDF also has a civil society aspect to it, as embodied in the Defenders of Aleppo Legion, which presented this certificate of commendation to the administrative and teaching staff of a school in relation to Teacher's Day. The overall commander of the Defenders of Aleppo Legion is al-Hajj Mohsen, whose signature appears on this certificate (bottom right) alongside that of Haitham al-Nayef. al-Hajj Mohsen is in fact an Iranian (compare, for example, with al-Hajj Ayoub, an Iranian who heads the Latakia sector of the LDF). 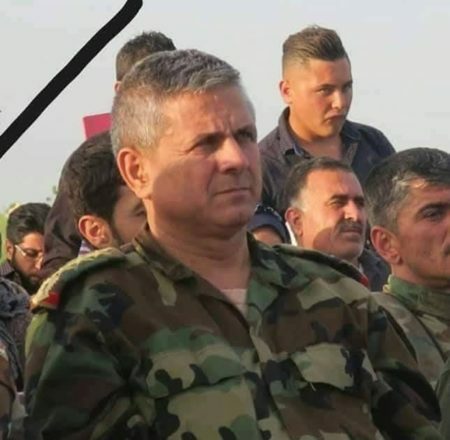 Even so, Syrians also feature in the command structure of the Defenders of Aleppo Legion, such as Colonel Sha'aban Soomaf who heads the legion's Third Square division. 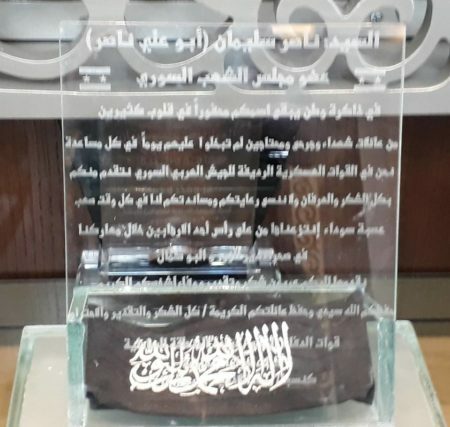 Example of interaction between LDF groups and the Ba'ath Party: an event in summer 2017 set up by Fawj al-Imam al-Hujja to commemorate the 'martyrs' of al-Hikma school during the Aleppo fighting. The event was carried out under the supervision of Fadhil Najjar, head of the Aleppo division of the Ba'ath Party. Representing Najjar at the event was Abd al-Qadir al-Abu Na'so, head of the al-Tarbiya al-Thalitha branch of the Aleppo division of the Ba'ath Party. Army officers, LDF commanders and notables of the al-Nayrab neighbourhood also attended the event. In 2016, Liwa al-Baqir campaigned successfully for the election of an independent MP to the Syrian parliament. However, the group also interacts with the Ba'ath Party. 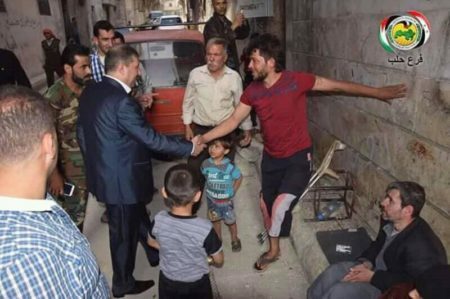 For example, the head of the Ba'ath Party's Aleppo division carried out a tour earlier this year visiting the wounded of families of Liwa al-Baqir. He was accompanied on that tour by Jum'a al-Baqir, a prominent figure in Liwa al-Baqir. Members of the 101 Battalion in Deir az-Zor. The 101 Battalion is an LDF unit that has functioned within the Liwa al-Imam al-Mahdi conglomeration of 'Syrian Hezbollah' units in Deraa and Quneitra. The 101 Battalion is also notable as the military wing of the Quneitra branch of the Arab Socialist Movement, a party that supports the Ba'ath-led government of Syria. The Arab Socialist Movement is also linked to the military intelligence via Forces of the Fighters of the Tribes. Maher Qawarma is a member of the Ba'ath Party and MP of the Syrian parliament. He also heads the LDF in the Christian town of Mahrada in Hama province. 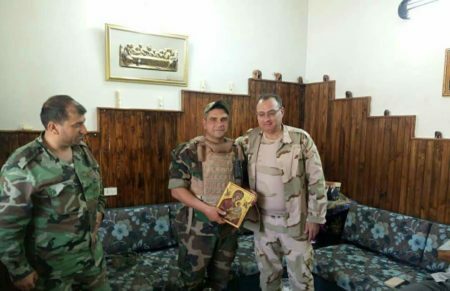 The Russians, as part of their desire to be seen as protectors of the Christian community of Syria, have visited Qawarma. Commendation from the Latakia/'Coastal' LDF to Naser Suleiman, an MP from Tartous province and member of the Ba'ath Party. 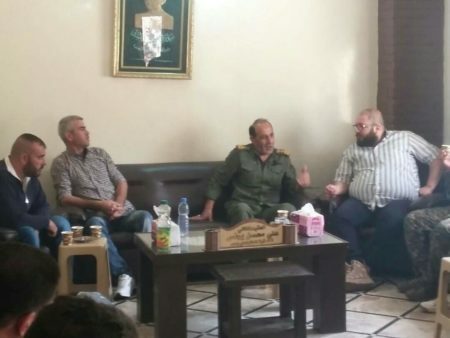 Naser Suleiman has provided assistance to the Latakia LDF formation Saraya al-Muqawama. The point here is not to provide an exhaustive list of data points on the LDF. One could get into a discussion, for instance, about Liwa al-Quds, one of the most well-known formations with Syrian-Palestinian roots. The group originated in the Aleppo LDF but then became affiliated with the military intelligence. I do not know why that happened, and exploring such opaque avenues will only distract the reader from the big picture, which is that the LDF is integrated into the system of Assad's Syria and simultaneously maintains affiliation with the IRGC. Thus, when Liwa al-Baqir members (for example) proclaim loyalty to Assad and religious/ideological affinity with Iran, there is no contradiction. They have certainly not been shy about their relations with the IRGC. It should be noted that Assad himself is involved in the LDF project. One account from 2017 traces the beginnings of the LDF project to him. In his capacity as the commander-in-chief of the Syrian military, Assad agreed in April 2017 to a variety of measures suggested by the Syrian military's organisation and administration branch regarding the LDF units working with the Iranians and the status of the personnel in them. The most notable measures involved regularising the status of deserters and draft evaders in the LDF and changing their call-up for duty to the LDF, effectively allowing them to complete their military service within the LDF. Meanwhile, civilians in these LDF units would be offered the chance to take up recruitment contracts in the People's Army (al-Jaysh al-Sha'abi), which has also taken to using the name of 'Local Defence' and is primarily tasked with protecting public installations. It was further decided that the Iranians should bear the burden of combat and material provisions for the LDF units working with them as well as the burden of material entitlements for 'martyrs', wounded and missing. The LDF relations with the Iranians are given official sanction until 'the crisis' ends or a new decision is made. Though the former provision is vague, one can be sure that a lasting U.S. presence in certain parts of Syria will be considered a continuation of the 'crisis'. None of the above means that there is somehow perfect harmony between the various LDF formations and the system itself (cf. here and issues of looting and criminal conduct by armed groups in general). Rather, the point is that all the various policy proposals with the aim of 'countering Iran' mentioned at the beginning of this piece do not in fact achieve that goal. Peradventure the proposals make for fun panel sessions, with exchanges of pleasantries and opportunities to enjoy tea and biscuits during intervals. Peradventure the proposals allow for all these think-tanks to look 'tough' on Iran and have the honour of boasting that they have briefed the U.S. government. In reality, a certain saying is most appropriate here: the dog barks and the caravan moves on. To sum up: the way the IRGC has integrated into the system of Assad's Syria is such that it has become an indivisible part of that system- an extension of the long-standing alliance between Syria and Iran and Iranian intervention in the war to help its ally. Truly countering the IRGC, let alone removing it from Syria entirely, would require the total dismantlement of the system itself, or at least going on the offensive, reducing the Syrian government's area of control to an insignificant strip of land and then blocking all Iranian access to it. That image could also be applied to the wider situation in Syria. For my part, I prefer that U.S. policy be focused on trying to integrate the areas of Syria where it maintains a presence into their wider environments and improve the well-being of their inhabitants. But that's just me. *(Appendix note): I find the free use of the term 'Iranian proxy' to be problematic in general and have moved away from it over the years. It conjures an image of Iranian control of fighters and groups as though they are robots and have no interests of their own behind their relationships with Iran. Take the issue of the borders with Iraq and the U.S. presence in al-Tanf. LDF units frequently go on assignments to these border areas. Does Iran have an interest in removing the U.S. presence and making sure the borders between Iraq and Syria are secure? Yes. Is that part of the reason behind deployments of LDF units to these areas? Yes. But the LDF units- as well as the Syrian government and other Syrian forces fighting for it- also have important interests as Syrians in removing the U.S. presence and securing the border areas. For one thing, they want to restart land trade between Syria and Iraq in a bid to reboot Syria's economy. But they also consider the U.S. presence a violation of Syrian sovereignty and genuinely think they are securing their borders against insurgent threats. 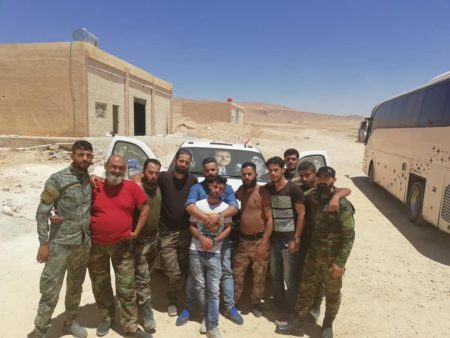 Accordingly, the idea that the U.S. could keep 'pro-Assad militias' away from al-Tanf by trying to warn them not to serve Iranian interests strikes me as absurd.